Sidney was born in Newbury in 1883, the son of John Thomas Deacon and his wife Mary Jane née Green. Sidney was one of six known children, the others being: Priscilla Kate (born 1880), Albert Frederick (1882), Rose Ethel (1887), William Edward (1892) and Doris Winifred (1896). Rose died in 1901 aged only 14; it is possible there were other children as a number of infant deaths are recorded in this period. 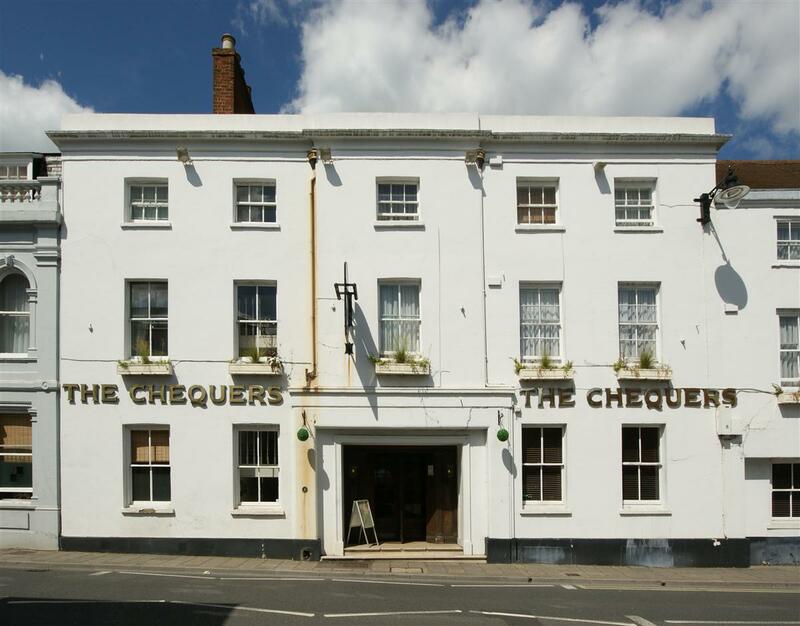 The Chequers, Oxford Road, Newbury - much expanded in the 1930s this was the extent of the hotel when Ernest was 'boots'. John Deacon was a carman (carter) working for a local corn dealer and living (1891) with his family in a small cottage (long demolished) tucked away at the north end of Smith’s Crescent in Shaw Road. 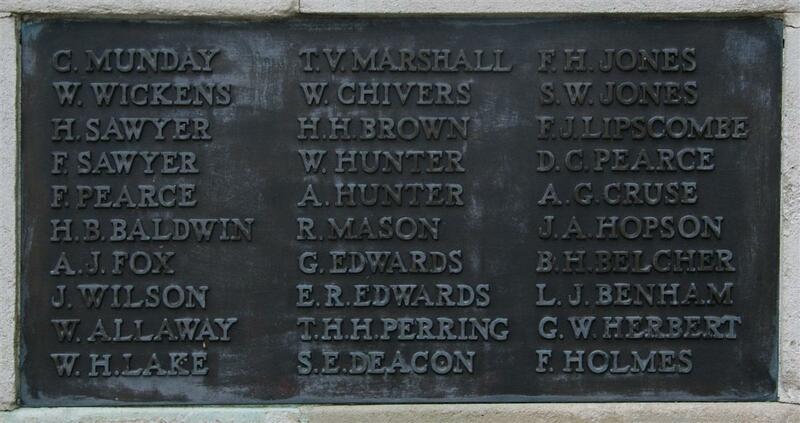 Living in Shaw Road it would have been normal for Sidney to attend the Speenhamland School in Newbury, but he did not appear on their war memorial so he may have gone to school at Shaw School, which was marginally closer to home although in a different parish. Upon leaving school aged 12 or 13 he would have sought employment. Many lads of that age became errand boys for local shops and businesses, but Sidney was soon working as ‘boots’ at the Chequers Hotel, cleaning the shoes the guests would leave outside their door in the evening and expect to find brightly polished when they awoke the following morning. The job provided accommodation, which became necessary as the Deacon family disintegrated. John Deacon died in 1910, but long before then his wife, Mary, was working as a live-in housekeeper for James French in Mayor’s Lane, Newbury, where she looked after the house and, it seems, James’ deaf son (also James). Life as a boots did not satisfy Sidney so he moved on, into a very new form of employment – chauffeur. The 1911 census found him as a visitor at 83 Gloucester Road, Newbury, perhaps he had a night off and was staying with friends, perhaps he was lodging there and his chauffeuring was for a local garage, most of which would provide cars and drivers for hire. Sydney was one of the many men who volunteered in the early months of the war, enlisting with the Army Service Corps (ASC) at Reading on 23 November 1914. His attestation papers give an idea of his appearance, 5ft 5in tall, 10st 5lb, with a 35½ in chest and ‘good’ physical development. As a driver he would have been an obvious candidate for the ASC, in particular their Motor Transport (MT) section. A year after he enlisted (19 Dec 1915) he was serving with the ASC’s 494 MT Company (41st Division) when he was promoted to Acting Lance-Corporal, a rank he lost only two weeks later (3 Dec) when he was transferred to 609 Company. 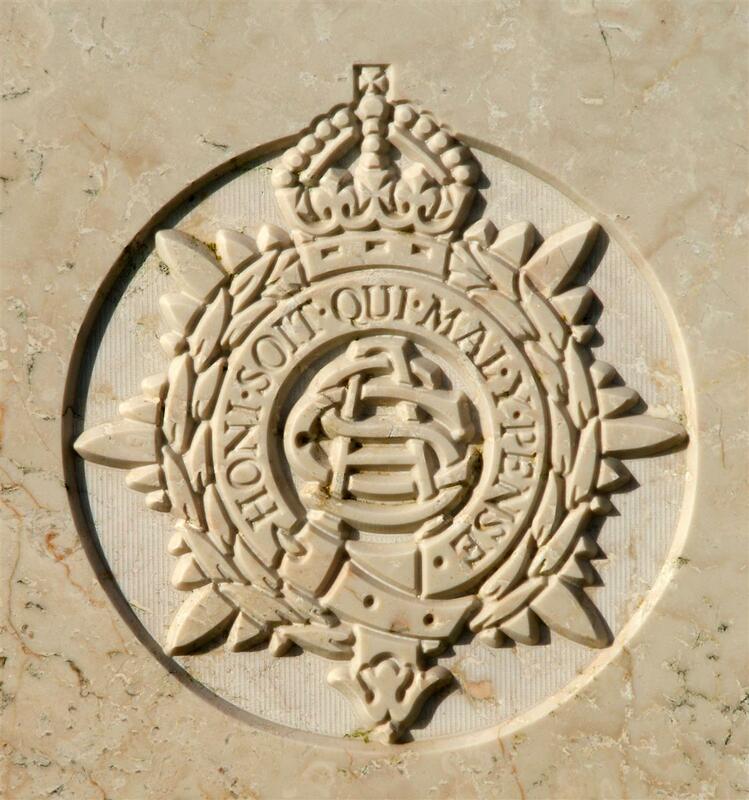 However, he only lost the rank for a day being reappointed Acting Lance Corporal on 4 December 1915. On 13 June 1916 he became an Acting Corporal, six days before he landed in France on his first overseas posting, where he served with 683 Company ASC, the Divisional Supply Column for the 60th (2/2nd London) Division. On 15 December 60th Division left Marseilles (Sidney travelled on the SS Megantic, a White Star liner serving as a troop transport) bound for service in Salonika, the almost forgotten front in the Balkans. On 4 April 1917 his rank was confirmed by full promotion to Corporal. 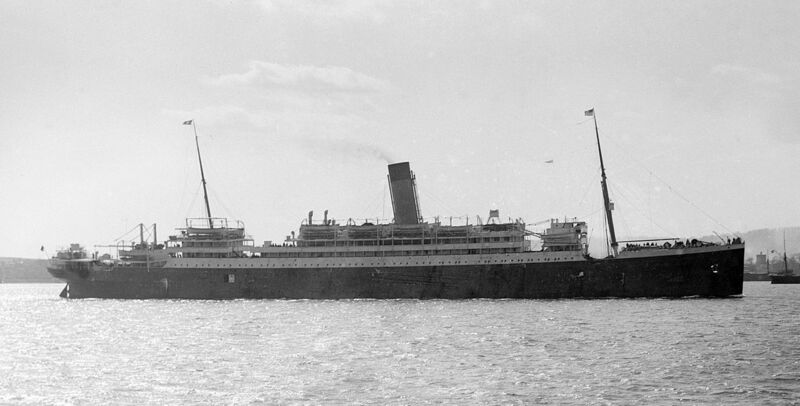 The SS Megantic:Ernest sailed from Marseilles on her in December 1916. The Salonika Front was relatively quiet in terms of military action; a Franco-British force faced what was largely a Bulgarian army, though Austrian troops were also involved. On 1 September 1918 the Allies launched an offensive that rapidly put the Bulgarians to flight and an armistice was signed on 30 September when Bulgaria surrendered. Sidney and his colleagues must have been overjoyed to learn that the war was over in Salonika, though such joy would have been tempered by the knowledge that they could soon find themselves back in France; though news of the Battle of Amiens and the subsequent successes against the Germans might have finally led them to believe that the end of the war was in sight. However, Sidney was to fall a victim to one of the biggest killers on the Salonika Front – malaria. On 6 November 1918 Sidney was admitted to the 28th General Hospital in Salonika with a temperature of 103oF, a cough, headache and slight shivers – all indicative of malaria, though a blood film test was negative. Pneumonia set in in both lungs and steadily spread. Without antibiotics to treat this infection it was far more deadly than today; Sidney died at 00.30 hours on 17 November 1918, less than a week after the Armistice ended the fighting on the Western Front. Mrs Deacon, The Bridge, Newbury, has been notified that her son, Sydney E Deacon, died November 17, of malaria, following pneumonia, after four years’ service, first in France, and shortly after being sent to Salonica. He was the second son of the late Thomas Deacon. It also seems that he is the Sydney Deacon remembered on two war memorials in Woolton Hill, outside and inside St Thomas’ Church, just over the border in Hampshire. It is not clear why he would be seen as a villager. Nevertheless, Pte S Deacon, Mechanical Transport appears on the Active Service Roll for the village, as printed in the Newbury Weekly News – this is entirely consistent with Sydney’s roll in the Army Service Corps. The most likely explanation is that he was working in the village – as chauffeur at one of the large houses. Sadly his decision to spend census night in 1911 with friends rather than at his own accommodation has made it impossible to determine where he was working at that time. DEACON. - In ever loving memory of my dear son, Corpl S E Deacon, RASC, died November 17th, Salonika. For those who loved him best. - From his loving mother.